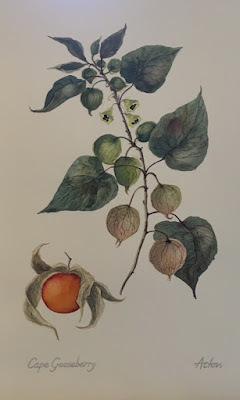 The Elizabeth Gordon Gallery has just received some beautiful new Botanical Fruit watercolours from Durban artist Lindy Acton. They are framed in a white mounts and white bamboo frames and make an impressive grouping. The Elizabeth Gordon Gallery is situated at 120 Florida Road.